At the very end of August, when most of the country’s inhabitants seemed to be throwing buckets of icy water over their heads, we chose instead to go somewhere at 2 mph, turn around and come back. It seemed a better option. A week on a narrowboat has long been on our list of experiences to try and, after a couple of years when middle-aged twinges have forced us to rethink our usual walking holidays, 2014 became the Year of the Boat. It couldn’t be a basic boat, that was for sure. Neither of has ever camped, so we were delighted to hit on Beacon Park Boats of Abergavenny, who promised fluffy towels, granite worktops in the galley and a reassuringly normal looking bathroom. 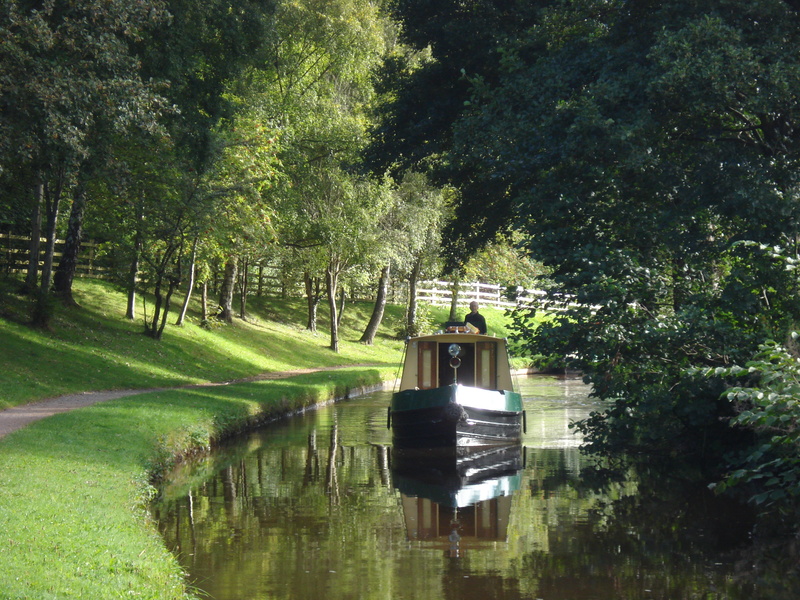 They operate, moreover, on the Monmouthshire and Brecon Canal, which winds through the lush, green Usk Valley in South Wales with views of the Brecon Beacons; with only a few locks to negotiate it is described as ‘perfect for beginners’. Boxes ticked! Beacon Park Boats kindly provide an instructional DVD once the deposit is paid. This is really useful, and it’s also the moment when you sit up and realise there’s more to narrowboating than standing looking decorative at the tiller. You might die, for example. You should check regularly for gas smells as well as beeps from the carbon-monoxide monitor, and you must remember to keep the boat well ventilated. You need to open the weedhatch daily to check the propellor for weeds and other debris which might interfere with the mechanism, remembering to switch off the engine first of course. You have to keep the water tank topped up so the boat lies low enough in the water to enable you to creep under very low bridges. And your prize for getting to Brecon is the joy of ‘pumping out’. Mooring rings and pins also come into it. And knots: I discovered I was finally going to use the round turn and two half hitches I’d learned in the Brownies and felt smug. Sobered by all this responsibility, we booked a training day en route to Wales with the wonderful Linda Andrews of Cheshire Cat Training near Audlem. She began by telling us a few more ways we could die and pointing out the high number of ‘domestics’ involving couples on narrowboats (‘Did you hear that pair trying to get out of the marina this morning?’). The message of the day was that you have to work as a team and that each of you should learn to do every task. 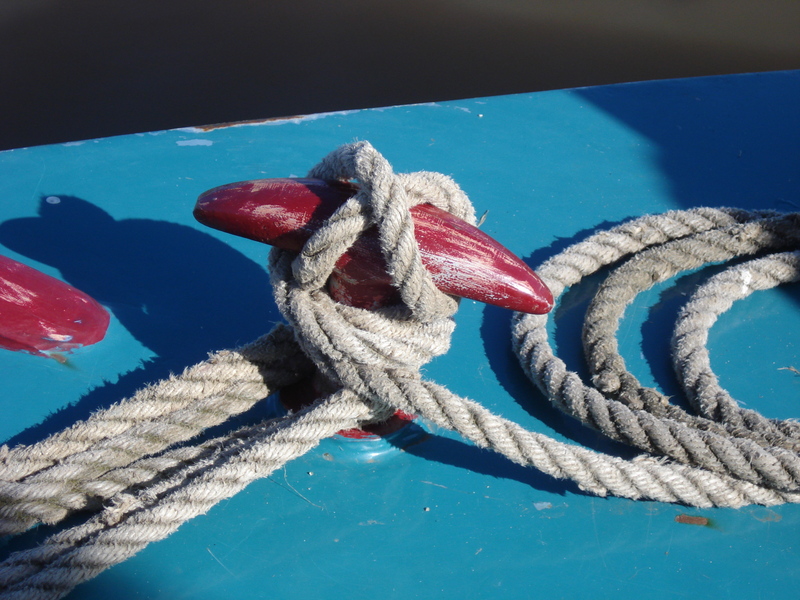 We were duly shown the ropes – the round turn and two half hitches (knew that one), the canalman’s hitch, and the 0800 knot. By lunch time we’d wiggled our way down the Shropshire Union canal towards Nantwich, oversteering most of the way. 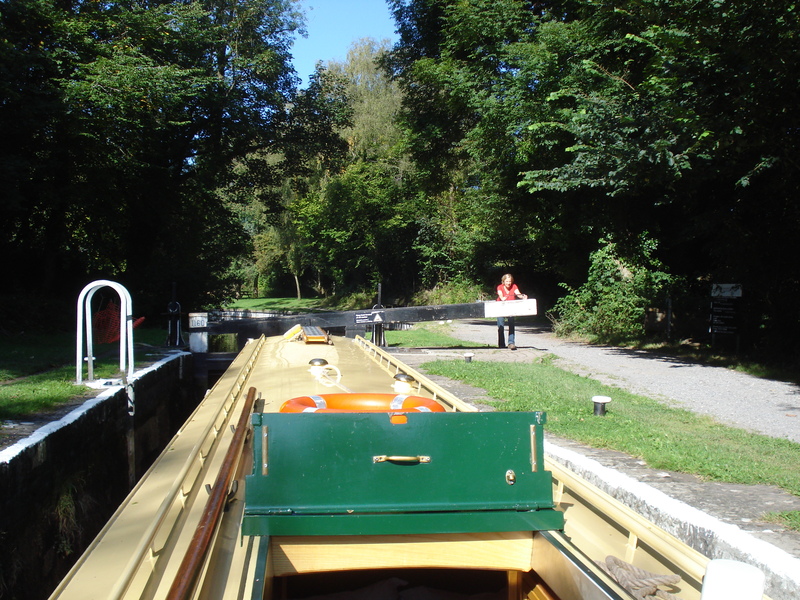 We’d also turned the boat in a ‘winding hole’ and negotiated a few bridges. The lock tuition came after lunch, when we were suffering from both food and information overload, so I don’t think that we excelled here. Overall, though, we left feeling a lot more confident and knowing that more practice would edge us in the direction of perfection. Thank you, Linda! And so our green week in Wales began. 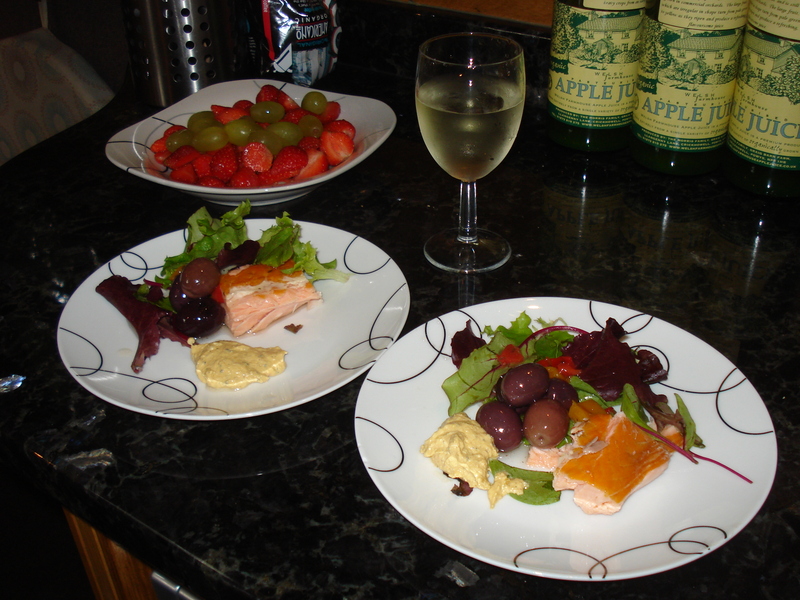 Everything was green – the canopy of trees above us, the pastures of the Usk Valley, the boat’s livery and our lifestyle. We slowed down, awoke to birdsong, got up with the light and went to bed with the coming of darkness. There was a certain satisfaction in combining physical work (the locks!) and mental work (route planning and water stops). We became more careful about conserving water and reducing waste. The world looks different at towpath level – ducks look you in the eye and dogs’ legs trot past your window. Squirrels do acrobatics above your head. People stop to chat. We walked and explored towns, villages and pubs along the way, and friends came to visit us. 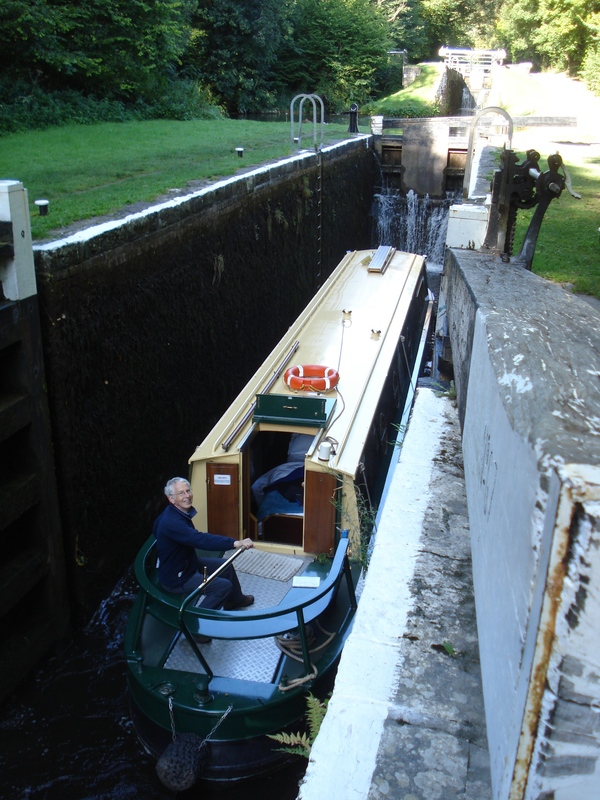 We felt proud to have negotiated locks and a tunnel. And because we travelled so slowly the week seemed very, very long. We never made it to Brecon but that didn’t matter; there was so much to see along the way, and we didn’t have to pump out. Domestics? Not a single one. We worked as a team.